Home » Diet » Top 5 Health Benefits of Turkey Tail! Turkey tail mushrooms, named for their colourful, autumn-­‐like striped caps, are as healthful as they are aesthetically lovely. These little fungi have myriad health benefits, particularly surrounding the boosting of your immune system, so it’s little wonder they’ve been used in medicinal teas since as early as the 15th century, in China. The coolest thing is, because they can be found growing just about anywhere in the world, you’ve probably walked past these mushrooms on a forest hike – give them some trees and they’re happy. Which is pretty handy, considering all their advantages. Now read on for our Top 5 Health Benefits of Turkey Tail! Turkey tail mushroom’s chief claim to fame is its immune-boosting finesse. Because it enhances your white blood cell activity, it effectively helps your body destroy unwelcome, illness-causing germs and toxins. So, it’s particularly great when it comes to preventing colds and flu. Due to its immune-­boosting powers, turkey tail is a promising aid to those who suffer from chronic fatigue syndrome/ME. That’s because it helps stimulate your immune system’s NK (natural killer) cells. People suffering from chronic fatigue syndrome have decreased NK cell activity, and Turkey tail mushrooms increase this cell activity, effectively helping to treat chronic fatigue syndrome. Thanks to these mushrooms containing prebiotics, this fungi is a superhero when it comes to digestion. These prebiotics help your microbium – the internal ecosystem of your gut health – by stimulating the production of good bacteria in your body. When your gut flora is balanced, smoother digestion occurs. 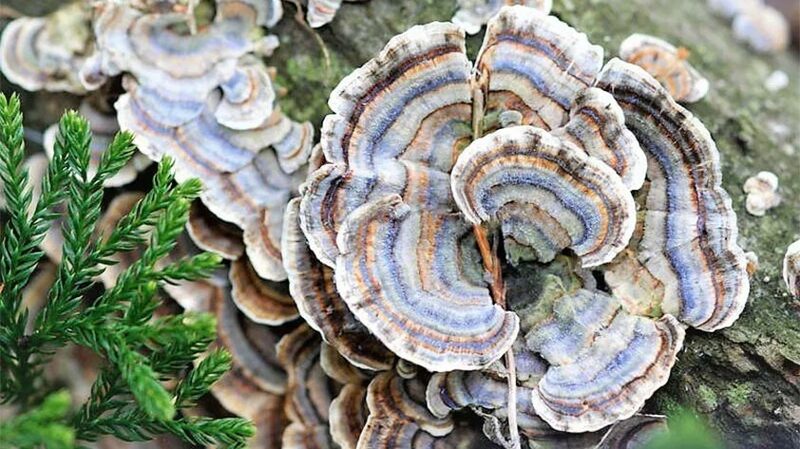 Aside from being packed with proteins, vitamins and minerals, turkey tail mushrooms contain nine antiviral molecules. 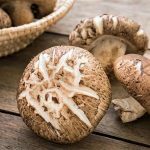 Because of this, aside from their immune-boosting powers, these mushrooms have had hugely positive results in treating specific infections, in particular, the HPV virus. We all know the drill: stress equals energy depletion, equals added stress because you haven’t quite got done what you needed to. It’s a cycle everyone falls into from time to time, but because turkey tail mushrooms are adaptogens – natural compounds that help your body adjust to stress factors – they are great for combatting stress hormones and restoring your energy levels. Okay, so you’re sold on turkey tail mushrooms; their health potencies make them an ideal natural supplement to help your body function at its best. And while we mentioned they’re probably growing in your local forest, we don’t recommend you pick or try them, just to be on the safe side. Instead, we recommend buying organic supplies, as not only does this avoid toxins that might be in the soil, but healthy, organic soil provides optimal nourishment for mushrooms, making for an optimally nourished you. Besides, they are rather chewy.